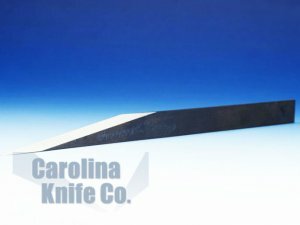 Mill Knives - Need Rubber Mill Knives? Shop Online Today! 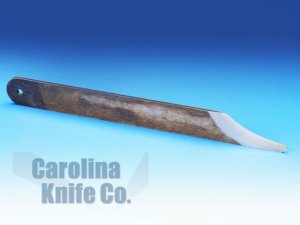 | Carolina Knife Co.
Mill knives are used in the manufacture of rubber sheets and the final assembly of products such as tires and hoses. Typically the blades are very sharp and made of higher grade tool steel (M series HSS) which enables a long run life. Depending on your application, a higher grade than M-2 tool steel may be preferable. Designers use many shapes and sizes of mill knives to affect desired cuts. Cutting edges are required to be very sharp and have long cutting life in the converting of these very abrasive materials. 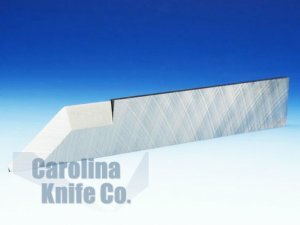 Carolina Knife Co. specializes in manufacturing blades for tire and rubber industries. We have over 40 years of experience creating durable, extremely sharp mill knives.